Browning Auto-5 Lightweight semi-auto 12 gauge shotgun manufactured in Belgium in 1965. 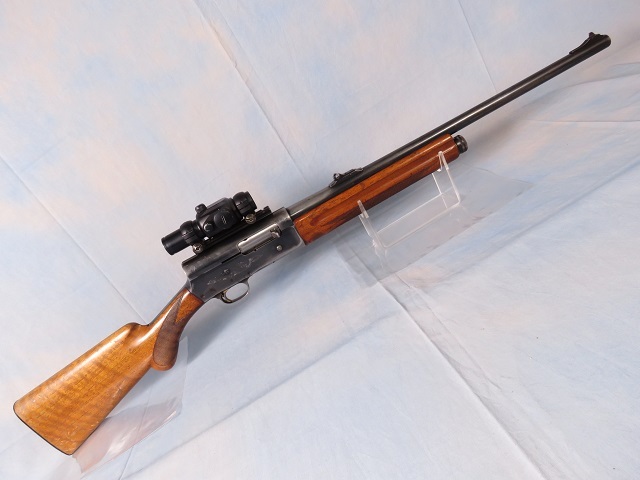 Features include hardwood stock and forend, blued receiver and 23" smooth bore barrel, rifle sights, crossbolt safety and attached saddle mount with red dot sight. This older hunting gun has seen some time in the woods and has some wear marks to tell the stories. Has been test fired, function checked and cleaned.